I’ve dreamed of visiting a place like Scotland’s Doune Castle ever since I was a boy. It started when I was 13, after I was cast in a theatrical production of Excalibur! The Story of Young King Arthur. For my research I read everything I could on the subject (including T.H. White’s The Once & Future King cycle and Mary Stewart’s Merlin books). My head was filled with stories of knights and damsels, magic and mayhem, castles and courtiers. I’d visited some of Scotland’s castles during my 2002 visit to Edinburgh. But exploring Doune Castle during our tour with Rabbie’s felt different. The medieval stronghold was built in the late 14th century. It’s largely empty, allowing you to use your imagination as you roam its ancient rooms and halls, picturing what life was like there 600 years ago. 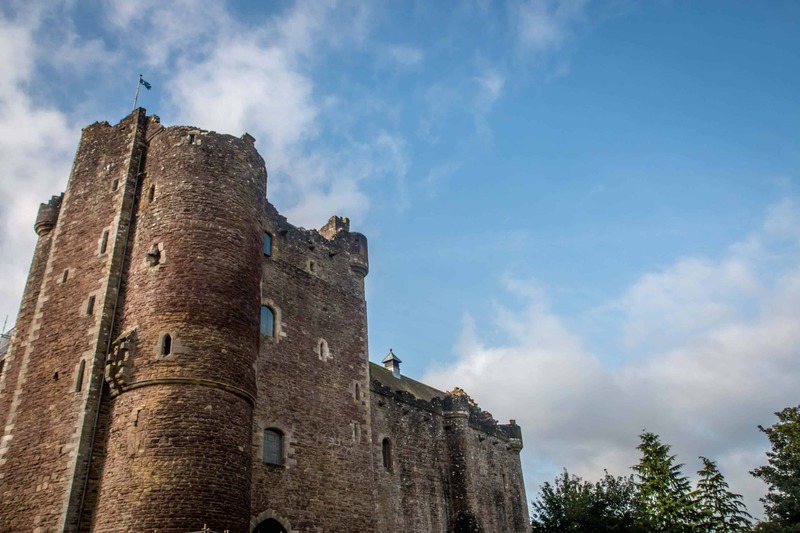 Most importantly, Doune Castle feels familiar because it’s one of the most famous filming locations in Scotland. 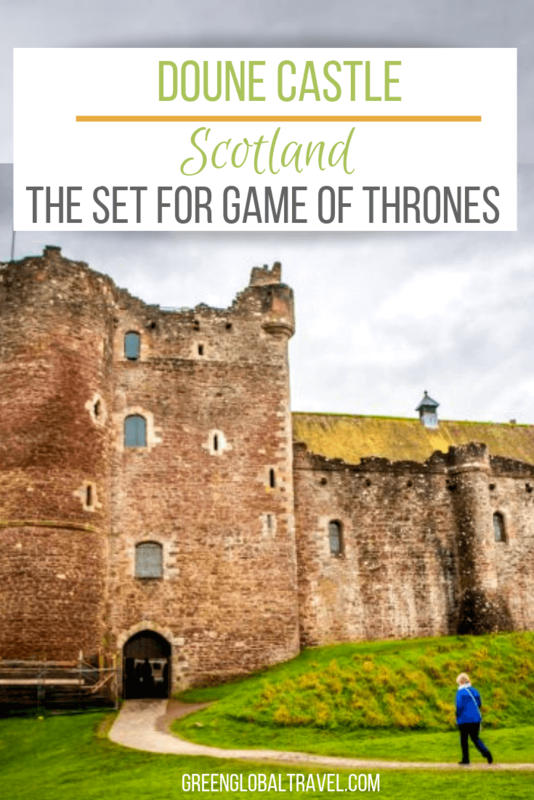 It’s been featured in Ivanhoe (both Liz Taylor’s 1952 film and the 1996 BBC adaptation), Monty Python & the Holy Grail, Game of Thrones, and Outlander. As a result, Doune has become one of the most popular castles in Scotland. Named after the Gaelic word for fort, Doune is strategically located at the confluence of the Ardoch Burn and the River Teith in Scotland’s Stirling district. 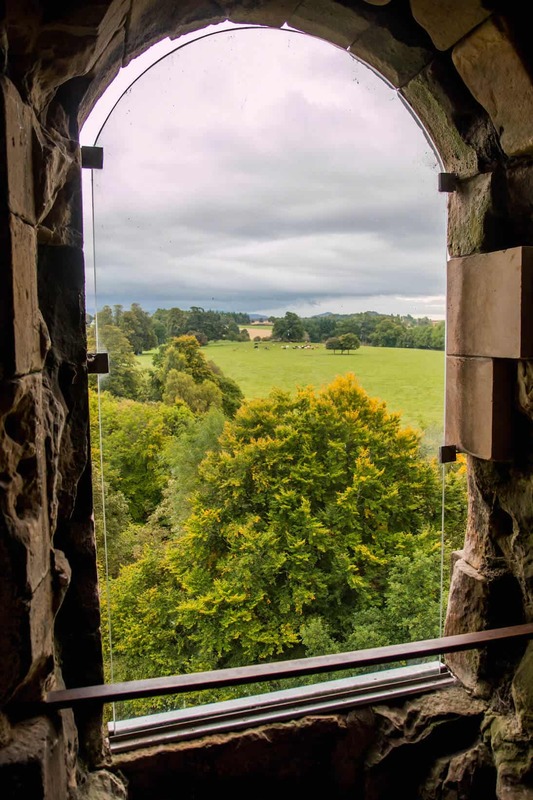 It was originally built for Robert Stewart, the son of King Robert II (grandson of Robert the Bruce, reigned 1371–1390). By 1388, Robert was appointed as Regent, ruling Scotland on behalf of his elderly father. He continued in this role during the reign of his elder brother, King Robert III (reigned 1390–1406), who was physically disabled after being kicked by a horse. In 1398 Robert was named Duke of Albany, and by 1406 he’d become Regent once more after King James I was captured by the English. 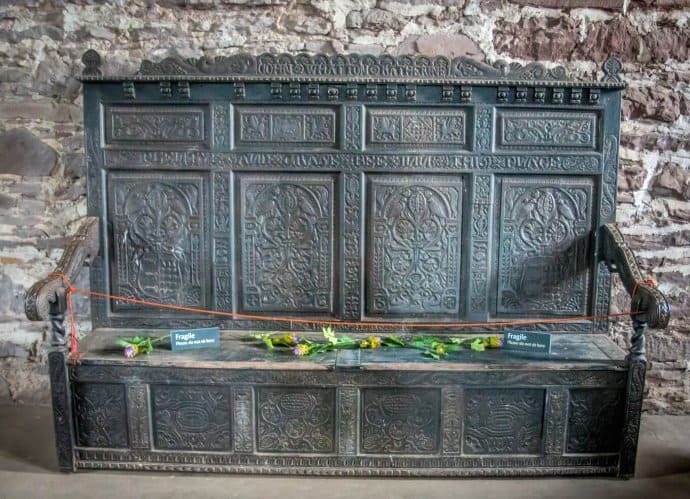 After Robert died in 1420, his titles and property (including Doune Castle) were passed down to his son, Murdoch Stewart. But when James was ransomed and returned to Scotland, he had Murdoch executed for treason. Doune Castle thus became a royal possession, serving as a retreat and hunting lodge for the Scottish monarchy for centuries. In 1570, descendant James Stewart was named Lord Doune and became the first Earl of Moray. From that point on the castle became the seat of its keepers, and was owned by the Earls of Moray until it was donated to Historic Scotland in 1984. Many Scottish notables frequented Doune Castle. Mary, Queen of Scots stayed there, occupying the warm rooms above the kitchen. Her son, King James (who ruled England, Ireland, and Scotland), visited on occasion and ordered renovations in 1580. And Charles Edward Stuart (a.k.a. Bonnie Prince Charlie) occupied the castle with his Highlanders during the famous Jacobite Rising of 1745, before they were ultimately defeated at the Battle of Culloden. 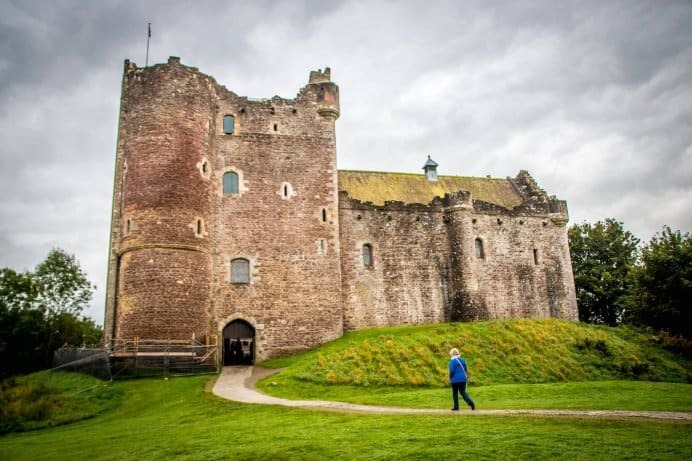 Because Doune Castle has become one of the most famous filming locations in Scotland, getting there early is vital during summer if you want to avoid the crowds. Even though we arrived right when the gates opened at 9:30AM, by the time we left the castle was swarming with organized tour groups. Though guided tours of Doune are available, we opted for the immensely entertaining audio tour narrated by Monty Python’s Terry Jones. Using sound effects and vivid descriptions, the audio brings the castle’s medieval history alive. Signs throughout the castle cue you on when to move to the next section. 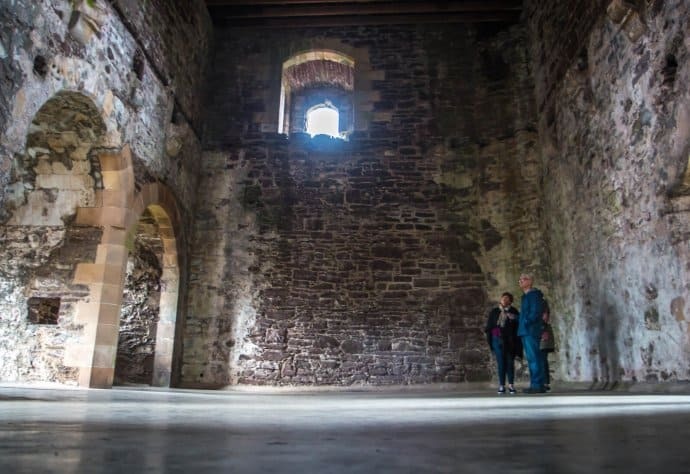 Jones’ narration (and that of Outlander star Sam Heughan, available on an alternate track) adds great historical context to empty rooms such as the Great Hall, Lord’s Hall, and kitchen. But we also enjoyed turning off the audio and just taking it all in. The massive stones (which date back to 1580) that made up the walls. The stunning views of the verdant countryside. 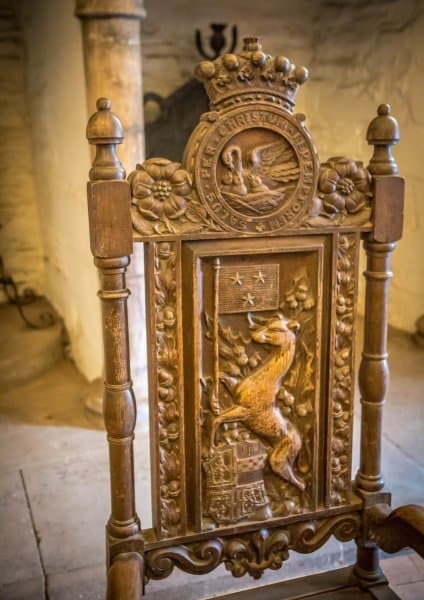 The intricate design details in the carved wooden benches and chairs. It was easy to see why Doune had been chosen as a filming location for epic tales such as Game of Thrones and Outlander. Having seen those shows made it easier to imagine how these ancient rooms must have looked during medieval times. We could almost hear the sounds that must have reverberated wildly during the grand feasts held there. One of the coolest things about exploring Doune Castle for me was the fact that I’ve probably watched The Holy Grail at least 50 times. And of all the TV shows and movies shot on location there, none has used the castle’s medieval beauty more effectively than Monty Python’s 1974 comedy classic. The producers hadn’t planned to use Doune as much as they did. 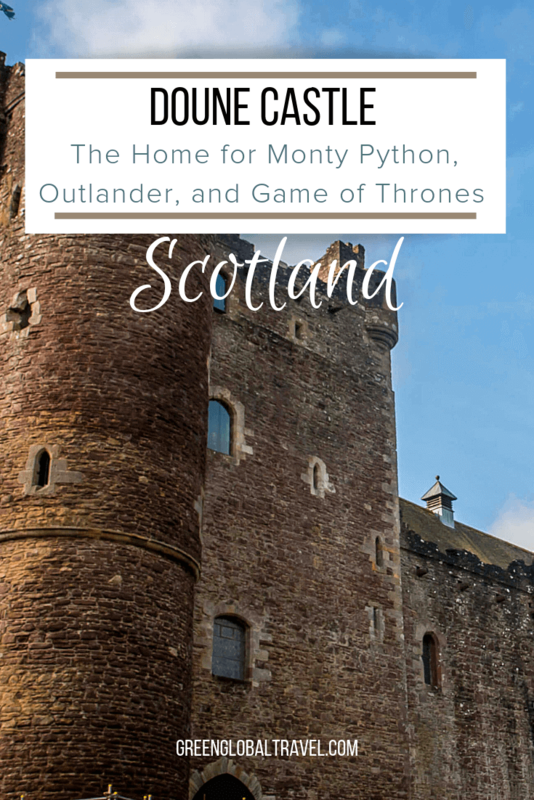 In addition to getting consent from Lord Moray to film there, they also obtained permission from the National Trust for Scotland to film scenes at various other Scottish castles. Unfortunately the NTFS changed their minds at the last minute. So the filmmakers cleverly use different parts of Doune to depict the various castles portrayed in the film. 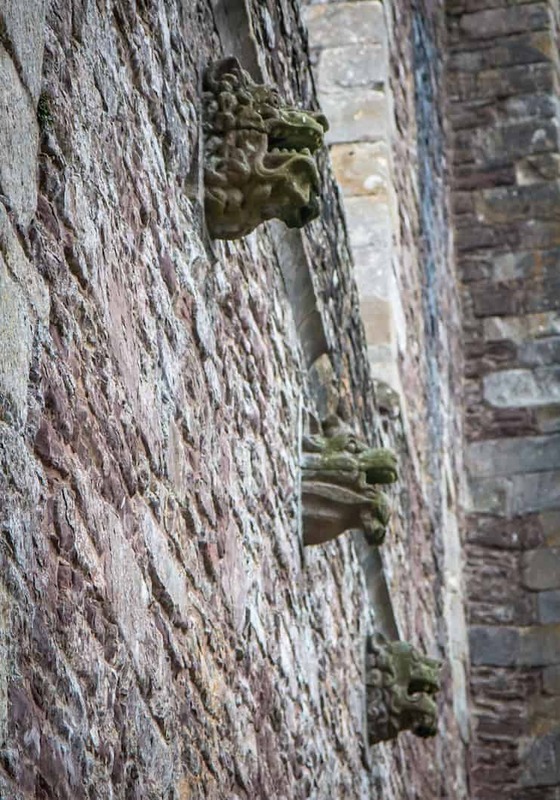 The outside of Doune Castle will be familiar to anyone who’s seen Holy Grail. Its east wall is where King Arthur (Graham Chapman) and Patsy (Terry Gilliam) argue with soldiers at the beginning of the film. And the front entryway is the place where the hilarious Trojan Rabbit scene was filmed. The Great Hall was the filming location for the “Knights of the Round Table” musical number (a show-stopper in the Broadway musical adaptation, Spamalot). It’s also where Sir Lancelot (John Cleese) interrupts a wedding in progress. The server and kitchen areas are portrayed in the film as part of “Castle Anthrax,” where Sir Galahad (Michael Palin) is mobbed by a group of randy women. And the Duchess’ Hall was used for the Swamp Castle scene, in which Prince Herbert (Terry Jones) is being held captive by his father’s dumb guards. Having Jones pepper the audio tour of Doune Castle with behind-the-scenes stories of filming Holy Grail there really made it special for me. 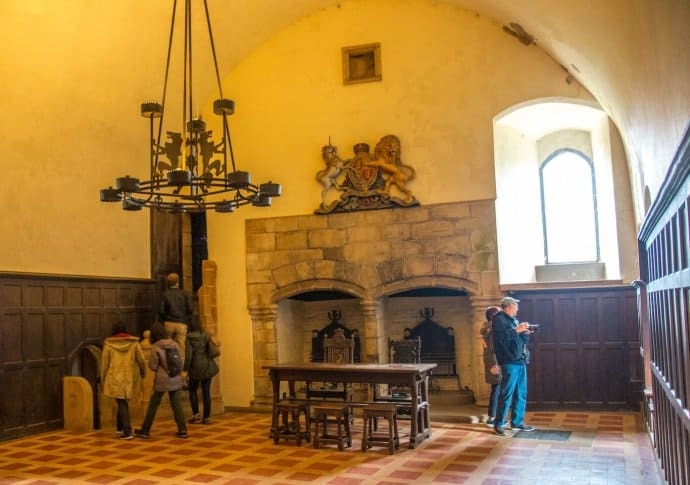 These days there are probably more Outlander tours bringing fans to the castle, despite the fact that Doune only makes a brief appearance on the show. 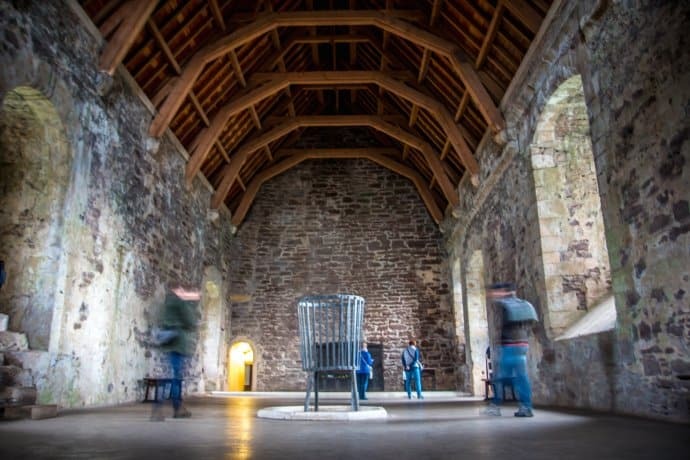 But the truth is, whether you’re a Game of Thrones fan wanting to see Winterfell or just a history buff who loves medieval Scottish castles, Doune is well worth a visit. We spent an hour there during our 5-day tour of the Scottish Islands & Highlands, and it honestly wasn’t enough. Sure, castles such as Edinburgh and Stirling are larger, and more important to Scottish history. Inveraray and Dunvegan are more modern, and much more lavishly decorated. But Doune Castle was my favorite of all the Scottish castles we visited. Our trip to Scotland was sponsored in part by Rabbie’s, with assistance from Visit Scotland. But our opinions remain our own, and we will never compromise the integrity of our obligation to our readers.